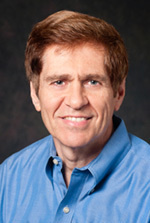 Jack Appleman, CBC, author of 10 Steps to Successful Business Writing (2008, ASTD Press), one of Amazon’s top-selling business writing books, is committed to helping working professionals achieve better results with their writing. His business writing workshops, CPE-credit writing courses/webinars, and one-on-one coaching for accounting firms as well as for major companies, such as HBO, Pfizer, and Johnson & Johnson, and have consistently earned outstanding evaluations. As principal of Successful Business Writing, Jack brings more than 20 years’ experience as a corporate trainer, professor, and public relations specialist. He has been a featured speaker before state CPA societies and has published several articles on the importance of good writing. These include a column on how effective communication helps CPAs work more productively that was published in The Business Edge. A 2012 story in The Wall Street Journal cited him and included his grammar quiz. Then, a 2014 Wall Street Journal article quoted him on email strategies. Jack is also an adjunct professor of communication at Manhattan College. He holds the Certified Business Communicator (CBC) designation and is a past president of the Northern New Jersey chapter of the Association for Talent Development. Jack earned his BA in communication from Ohio State University and his MS in journalism from Ohio University.